The first ballad concerns the raising of an Irish Brigade by Archbishop Paul Cullen to fight in Italy for Pius IX and the Papal States against Garibaldi and the Italian patriots. The Brigade was raised in 1860. The Irish brigade - first line reads: Hibrnias [sic] sweet Harp from your slumber awaken. 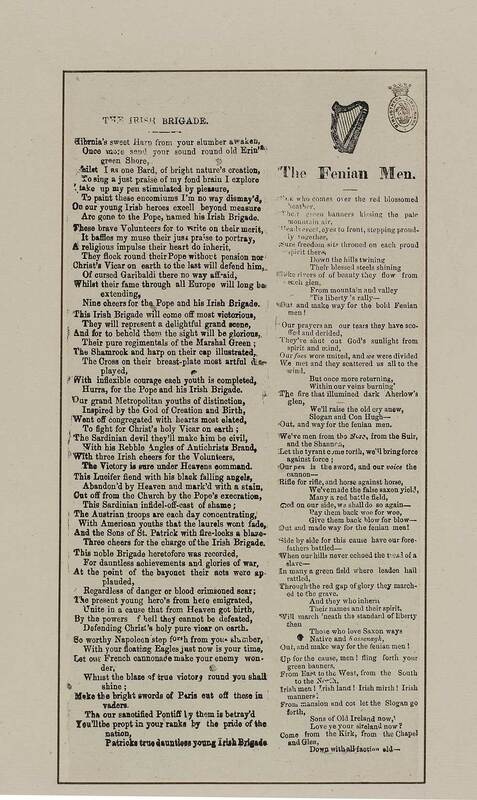 The Fenian men - first line reads: See who comes over the red blossomed/ heather.